AdventureCORPS events happen not in a man-made stadium, but in the real world “out there.” We care deeply about the natural world for we are intrinsically linked with it and because we want to enjoy these events in their awesome natural settings for a long, long time. Here is what we are doing, so far, to mitigate the impact of our events, as well as some current thoughts about doing better. We are extremely pleased to have joined One Percent For The Planet on July 1, 2008. As such, we donate at least 1% of total revenues (in other words, “off the top,” not just 1% of profit, which would be next to nothing!) to environmental causes. This is in addition to all the work we do on behalf of, and donations we make to, our non-environmental Official Charities, Challenged Athletes Foundation and Major Taylor Association. 1% For The Planet is a growing global movement of over 1300 companies (and counting) that donate 1% of their sales to a network of over 1,600 environmental organizations (and counting) worldwide. We are pleased and proud to be in such good company! More info at www.onepercentfortheplanet.org. Also in association with our membership in 1% For The Planet, we are pleased to recognize the Bald Head Island Conservancy – a leader in barrier island conservation, preservation and education – as an Official Charity of AdventureCORPS / Badwater. Race participants will appreciate that the BHIC cares for this race route’s pristine setting and its role as sea turtle nesting site, and will be encouraged to fundraise for the BHIC and support its mission. Learn more at www.bhic.org. The goal of this race is raise $10,000 every year for the Bald Head Island Conservancy, which is enough to purchase one of the special electric UTV electric vehicles which the BHIC uses to patrol the beach and care for sea turtle nesting sites. All racers are encouraged to support BHIC and all money donated or raised by them will count towards this ambitious goal. More info at www.bhic.org. 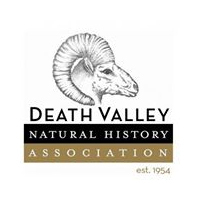 In association with our membership in 1% For The Planet, we joined the Death Valley Natural History Association as Life Members, purchased Life Memberships for several of our long-time volunteers, and recognized DVNHA as an Official Charity of AdventureCORPS from 2009 onward. DVNHA is a non-profit organization supporting education, research, and preservation in Death Valley National Park and Ash Meadows National Wildlife Refuge. Some of their efforts include DeathValley R.O.C.K.S. (bringing inner city kids to experience one of the largest outdoor classrooms in the world), Devil’s Hole Pupfish Recovery, Death Valley All Taxa Biological Inventory, plus they run the wonderful gift shops at the Furnace Creek Visitor’s Center, Scotty’s Castle Museum, Stovepipe Wells Ranger Station, and at the Ash Meadows National Wildlife Refuge Office. More info at www.dvnha.org. We are extremely excited to announce that we joined The Conservation Alliance on September 10, 2008. The Conservation Alliance is an organization of outdoor businesses whose collective contributions support grassroots environmental organizations and their efforts to protect wild places where outdoor enthusiasts recreate. Alliance funds have played a key role in protecting rivers, trails, wildlands and climbing areas throughout North America. Membership in the Alliance is open to companies representing all aspects of the outdoor industry, including manufacturers, retailers, publishers, mills and sales representatives. The result is a diverse group of businesses whose livelihood depends on protecting our natural environment. Since its inception in 1989, the Alliance has contributed more than $6 million to grassroots environmental groups. Alliance funding has helped save over 39 million acres of wildlands; stop or remove 26 dams; and preserve access to more than 16,000 miles of waterways and several climbing areas. More info at www.conservationalliance.com.